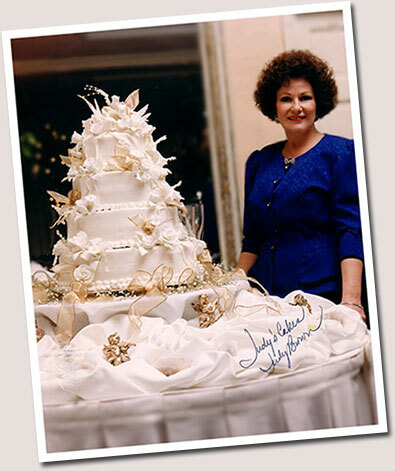 Cakes from my “Private Collection” are elegantly created in good taste for your perfect event. Each cake is specially designed and personalized for you. Every possible care has been taken in preparing a high quality product. You may take pride in serving it to your family and guests. My cakes are “heavy” type of cake, such as a butter pound, for smooth and easy cutting. You get more slices from this type of cake. I prepare each cake the old-fashioned way, with the freshest ingredients: Sour cream, cream cheese, sugar, flour, fresh fruits, nuts, real butter, vegetable oil and fresh eggs. All decorated to perfection! As a confectionery architect, I can even do your home, office building, or most any special layout in cake. To my credit are the American Transtech Building, CSX Building, Gulf Life Building, Super Stock Building, The Jacksonville Landing, several show homes, the Northeast Florida Builders Association Building, The Oscar, and “The White House”. My cakes are not only city, state and nationwide, but are now international and have gone as far away as England and South America.